A search for an urban residence conveniently close to every lifestyle want and need can conceivably be ended with an option at the 100 Central Condominium in Sarasota, Florida. A fairly new community, it is located along the city’s Central Avenue which by itself is bustling with a lot of lifestyle possibilities. 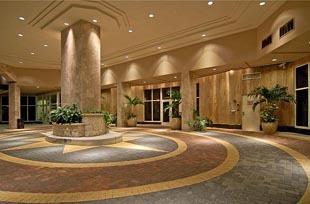 This multi-story condominium was built in 2005 and the 100 central condos for sale are quite competitively priced. From its total of 95 units, a two-bedroom, two-bath residence with a floor area of about 1,100 square feet can have a listed price in the $400s. The asking price rises to the $700 level for a condo with over 1,500 square feet of floor space, two bedrooms, two baths, and a two-car garage. Premium pricing in the $1-million mark goes to the 100 Central’s penthouses. 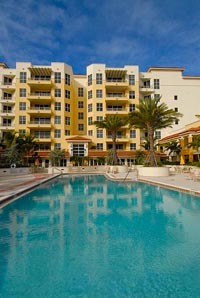 The common facilities provided to the condo residents include a modern fitness center and a heated, rooftop pool. Guest suites for stay-in visitors are available for a reasonable fee. The 100 Central also has an in-house concierge. Shops, boutiques, cafes, and restaurants are within the immediate neighborhood of the condominium complex. Shopping venues around the community include the Whole Foods Market and SPARCC Treasure Chests. For dining, Patellini’s Pizza and the Golden Apple Dinner Theater are among the nearby choices. Moreover, the Selby Public Library and the John Carl Spa and Salon are also in the condo’s immediate vicinity. Arts and culture centers like the Sarasota Opera House and the GWIZ Museum are also easily accessible at the downtown area. The field of lifestyle choices expands even more with a short drive to St. Armands Circle accessible via the Ringling Causeway. This unique commercial hub offers more than 130 shops and myriads of superb dining venues like the Cha Cha Coconuts, Columbia and Hemingway’s. The St. Armands Circle Association, moreover, holds regular events in the in the center of St. Armands. 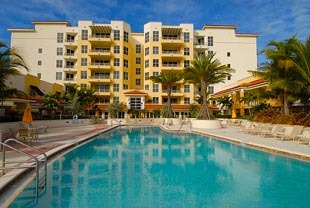 Exciting beach activities are also minutes away from the 100 Central condos at the nearby Lido Key area. One point of interest here is the South Lido County Park where there are picnic groves, fishing spots, and plenty of sports rental shops for many water-based activities like boating, sailing, and diving. More outdoor lifestyle pursuits can be accessed with a short trip to the world-class golf courses of Prestancia, near the South Tamiami Trail, where memberships are available at attractive rates. An excursion here can even include some wonderful time spent at the Westfield Sarasota Square Mall where there are more than 140 shops in addition to lots of restaurants and the AMC Theaters. Condos for sale at 100 central certainly rank high among the choices currently available in the Sarasota real estate market. A great location combined with fantastic architectural style makes 100 Central a great location to own a primary or a secondary condominium residence. Below are all of the current real estate listings available for sale at 100 Central.